Several weeks ago on my primary Twitter account I mentioned how impressed I was with Land of Mine (2015), as I considered it to be a superior war film to that of Dunkirk (2017). Although Dunkirk features impressive action sequences and a quality soundtrack, the film did not run particularly deep--It was the epitome of a Hollywood blockbuster version of what was supposed to be a meaningful film about World War II. Note that I say that reluctantly, since I consider Cillian Murphy and Tom Hardy to be two of the finest living actors in their prime years. 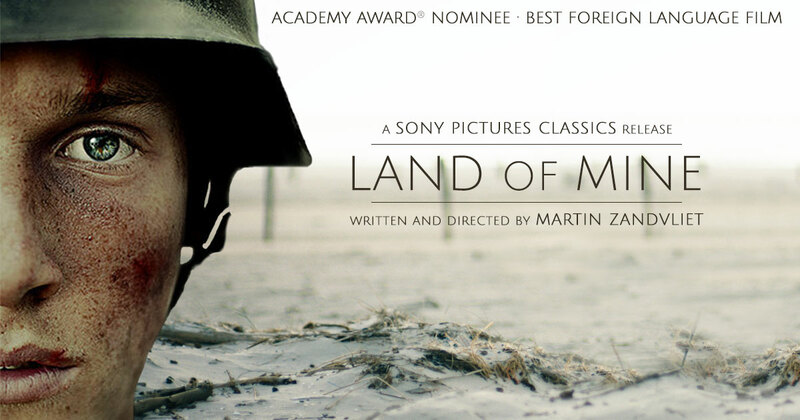 However, the truth of the matter is that Land of Mine does indeed run more deeply than Dunkirk and presents a very compelling plot with interesting characters and storylines. Despite being an obscure foreign film with subtitles, I recommend you track it down and watch it. As World War II comes to an end, a group of German POWs, boys rather than men, are captured by the Danish army and forced to engage in a deadly task—to defuse and clear land mines from the Danish coastline. With little or no training, the boys soon discover that the war is far from over. Inspired by real events, Land of Mine exposes the untold story of one tragic moment in post-war history.